Medical aspects of Selective diseases. Yoga Teacher-Instructor Training is the foundation work of our Institute. 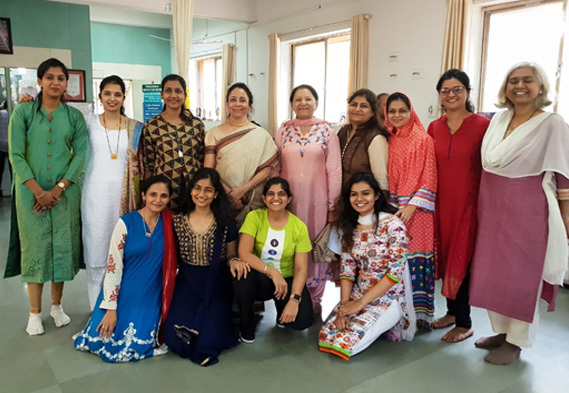 Yoga Teacher-Instructor Training consists of theory & practical. Theory gives information about body structure (Anatomy), body-function (Physiology) & description of selective disorders of health. It includes Prenatal Yogic study. 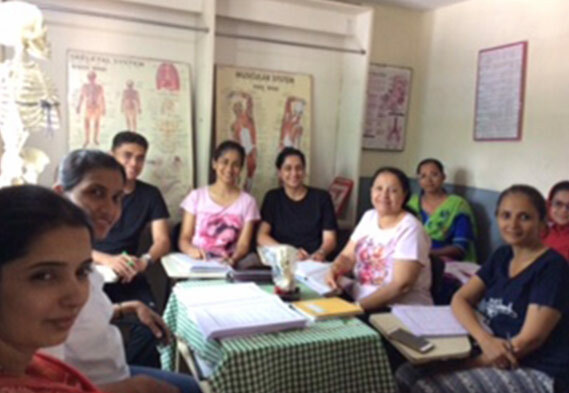 Theory is taught by Dr. Supriya who is a practising Ayurved Consultant. Practical sessions are taught by Shama since 2008. 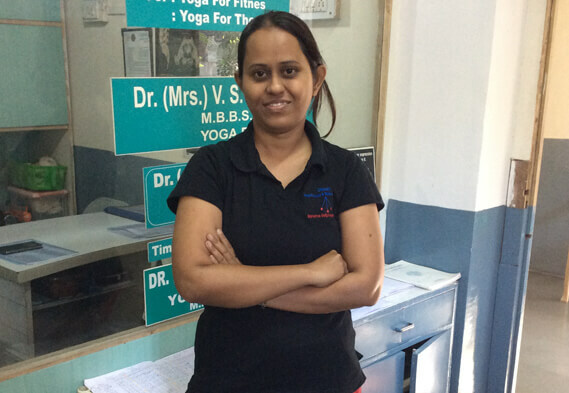 She has a passion for teaching & is an ardent learner of Yogic Science. 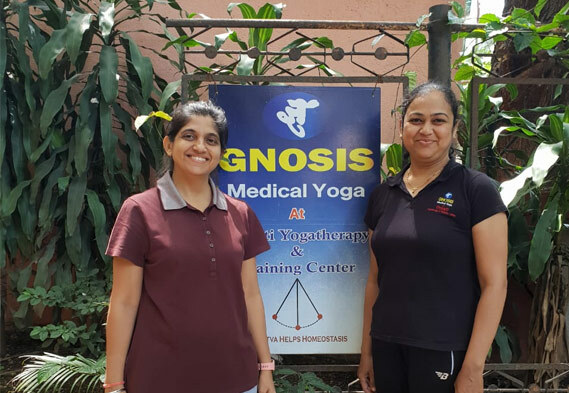 Yoga Philosophy for both courses is taught by Ashvini, who has done her MA(Yoga) from Dr. Harisingh Gour University, Sagar M.P. Practical consists of 2 sets of sequences of Yogic Postures, to be studied & practiced. One has to learn the detailed instructions while performing them. It also includes one special sequence called Pranayam sequence which consists of 20 min. Yogic Postures, 10 min. Shawasan, 5 min Breathing Study, 10 min. Pranayam, 10 min. Meditation, ending with Shantimantra. Pranayam sequence helps in energy extension. One has to memorize selective Patanjal Sutras and few shlokas from Bhagvatgeeta & understand their meaning. 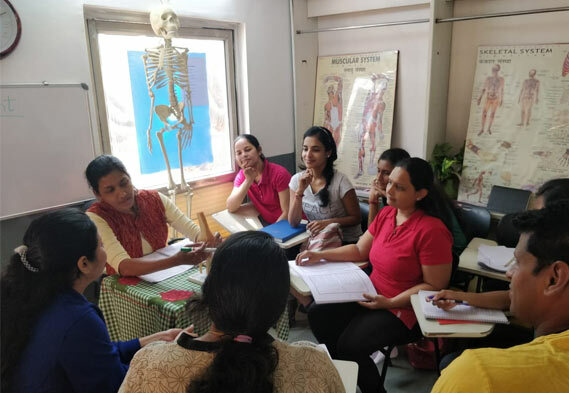 This forms foundation for Medical Yogatherapy Training Course in India.